Eminem says he felt uncomfortable with homophobic lyrics he wrote and released on his recent album, Kamikaze. 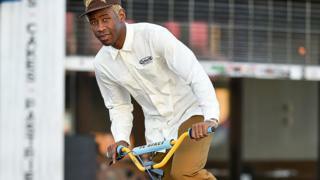 He faced criticism for his language on album track Fall while speaking about Tyler, The Creator. 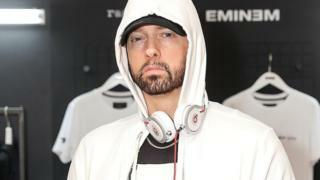 Eminem says he “felt like this might be too far”, in a new interview to promote the record on his own YouTube channel. “In my quest to hurt him, I realize that I was hurting a lot of other people by saying it,” says Eminem. Many others didn’t feel right with it either. El Hunt, a writer for NME, says it’s good that Eminem has apologised, but doubts the validity of his explanation. “If he really thought that was going too far, then he probably shouldn’t have released it in the first place,” El tells Newsbeat. She’s a 26-year-old gay woman and has had the same word used against her as abuse in the street. “When you see people like Tyler, The Creator using that word it’s a totally different thing, because it’s about reclaiming the word,” she says. She also accuses the rapper of being selective with which offensive words he is comfortable using in his lyrics. “If you look at Eminem’s historic use of the N-word – or rather lack of use – he knows not to do that as a white rapper,” she says. “So why he’s decided it’s OK to say the [homophobic] F-word is beyond me. Eminem is credited with writing the track, along with four others, including Justin Vernon of Bon Iver – who has since distanced himself from the song. Justin wrote and sung part of the track, but says he wasn’t in the studio with Eminem and asked for the song’s message to be changed when he heard the finished song. Eminem has been criticised for his use of homophobic lyrics throughout his 20-year career in the mainstream. His early albums are littered with gay slurs. The rapper has previously defended his offensive language, saying that he believes the F-word is the same as calling someone a ‘punk’.